and is easier to use. 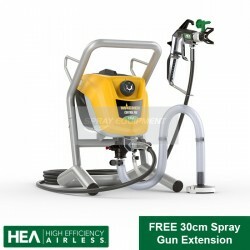 PROMO: Includes free spraygun extension for greater versatility!!! The Control Pro 250 M is a compact 230v airless paint sprayer with a carry handle, which is designed for experienced DIY'ers, maintenance personnel and tradespeople who have spray painting projects. The material is atomized using High Efficiency Airless (HEA) technology with a reduced pressure, generating perfect coverage with minimum overspray. 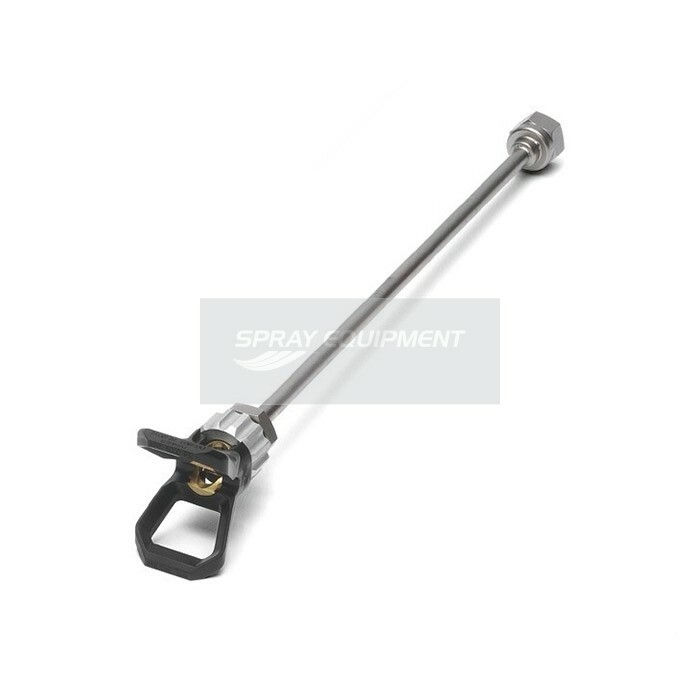 Combined with a new nozzle design, this Airless spray system offers maximum control and professional results without any streaking. This makes the Control Pro 250 M not only easy to use, but also enables first-time users to achieve perfect results. It allows you to work with all water and solvent based paints, varnishes and wood preservatives as well as emulsion and latex paints. HEA (High Efficiency Airless) is Wagner's new Airless technology. The completely new HEA series is designed to replace Wagner's successful Project Pro and PowerPainter series. The new technology gives even better and fuller spray than Airless technology, currently the highest standard in the market. Thanks partly to the new technology, the machine can spray all the usual materials using less power, which makes it far more efficient than the predecessors. It is an ideal machine for large DIY users and small to medium professionals for small to medium-scale professional projects for new builds, furniture production and renovations. This spray package is perfectly capable of spraying all common water- and solvent-based paints which equipped with the correct spray tip. HEA integrates the advantages of various existing paint spraying technology. 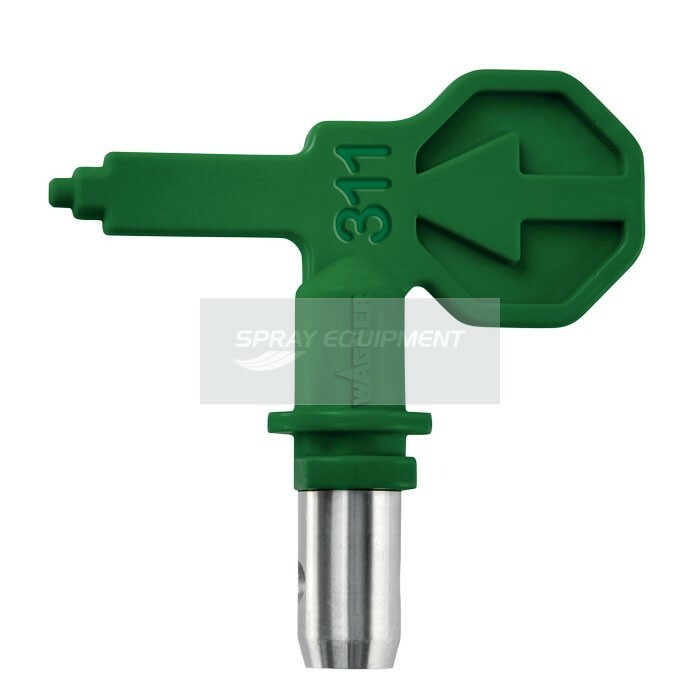 Due to the low pressure, it can reduce overspray by some 50% and the paint gun is easier to handle than the old standard Airless paint sprayer. Also, the HEA is a more forgiving or accommodating paint sprayer, meaning that you will get fewer runs and less uneven coverage than you would with current Airless and HVLP technology. UK - Any purchase over £50.00 exc VAT qualifies for free UK delivery, most shipments will require a signature upon delivery. Under £50.00 exc VAT a £5.00 charge will apply. Overseas (EU) - Shipping is calculated on both weight and value, we aim to cover costs only so our prices are competative. All shipments will require a signature upon delvery. UK VAT must be paid at the point of purchase unless a valid EU VAT registration number is held, if sucessful zero UK VAT will be charged. Overseas (Non EU) - Shipping is calculated on both weight and value, we aim to cover costs only so our prices are competative. All shipments will require a signature upon delvery. Our prices will exclude sales tax however anyimport duties or charges are not included in the sale. Product Video & Free PDF Downloads.